I love complicated action games in general, though I have a particular soft spot for ones that make my hands hurt. I am pleased to announce that Resogun and Super Stardust HD developers Housemarque's latest game, Matterfall, takes a seat beside God Hand at the roundtable of games which might cause carpal tunnel. 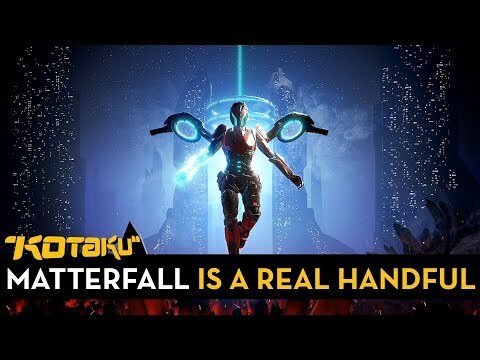 In this video I walk you through Matterfall's wacky controls, and partially lose my mind doing so.